The Bear Call spread, as the name describes, is a bearish trade writes Mike Cornips. If applied properly, it can also profit from sidewards movement, or even a slight rise in the market; making it an extremely versatile strategy. Quite often when a stock is channelling, it trades between a strong resistance level, and support level. A bounce from a resistance level is a great indication the stock is likely to continue the pattern, and provides a strong entry signal for a Bear Call spread. When a stock is in downtrend, you can often draw a downtrend line that represents a strong level of resistance. Once the stock has come back to the trend line, and bounces from the line, it is an indication that the stock is ready to continue the down trend and therefore continue lower. This is also a strong entry signal for a Bear Call Spread. Why would I use a Bear Call Spread? We often apply this strategy in a way where we can place all of our risk above a strong resistance level. The resistance level then acts like a last line of defence to stop the stock from rising and going against us. If that level breaks, we often use it as a signal to exit the trade. Finally, if applied properly, the trade has an opportunity to close out for zero brokerage and fees, halving the cost of the trade. 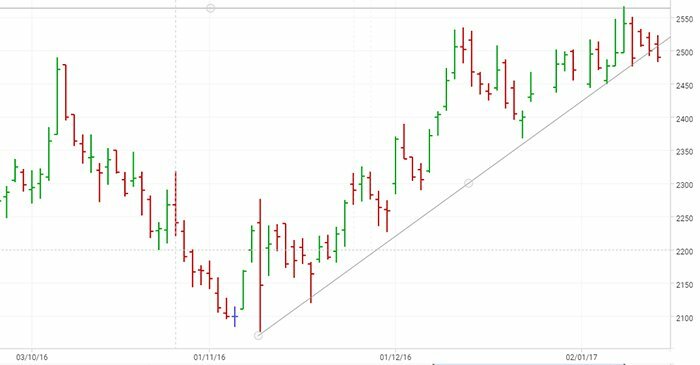 The chart below is of Ansell Limited (ASX:ANN). You can see that Ansell had recently risen to resistance, stalled, and come back down. It had a couple of days of sidewards movement back to the uptrend line, and today it has broken, giving us confirmation that it may continue lower. 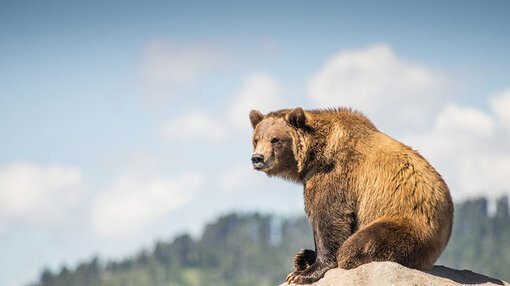 The Bear Call spread could profit from a drop in share price, but if ANN continues to go sidewards instead of dropping, it could still make maximum profit. We can set up the Bear Call to place all our risk above the resistance level of $25.70, which means ANN can rise up to, and even beyond that resistance level (but to a certain point), and we could still have a good result. However, it should be noted that price targets are only estimates and may not be met. Also, historical data in terms of earnings performance and/or share trading patterns should not be used as the basis for an investment as they may or may not be replicated. See professional financial advce. The reason we set the trade up like this is because the resistance level acts as a defence against the stock rising, but if it does break, we would take it as a strong signal to close the trade. It should be noted historical data in terms of earnings performance and/or share trading patterns should not be used as the basis for an investment as they may or may not be replicated. Those considering using any trading strategy should seek independent financial advice.